ACDC’s hit song and album Back to Black may be something still to rock out to, but there’s certainly one thing that you don’t want to go back to: blackheads. As tiny little black dots across our nose, forehead, cheeks, and chin, blackheads can make you feel self-conscious about your entire appearance. Caused by clogged hair follicles that are close to the skin, blackheads are fortunately easy to get rid of— especially with the help of Dr. Timothy Jones. Read on to learn more. One of the easiest and best ways for you to combat your blackheads is to get into a good skincare routine. To start out, make sure that you are washing your face both morning and night— this will help combat the oil that is clogging your follicles. Next, try to use a light facial toner to help balance out your skin’s oil production. Next, follow-up with a weekly face mask with ingredients like charcoal in them— charcoal is great at pulling out dirt, oil, and toxins from your skin. Either with the help of Dr. Timothy Jones or just on your own, you can self-extract your blackheads— especially if they’re on your nose. To do this, use clean hands and apply pressure on your nose by using the knuckle on your forefinger. The gentle pressure will encourage the black heads to erupt and come to the surface— clearing out your follicles in the process. Make sure to wash your face afterward, so the bacteria doesn’t spread. If your blackheads are really bad, Dr. Timothy Jones may recommend that you start with a set of chemical peels. 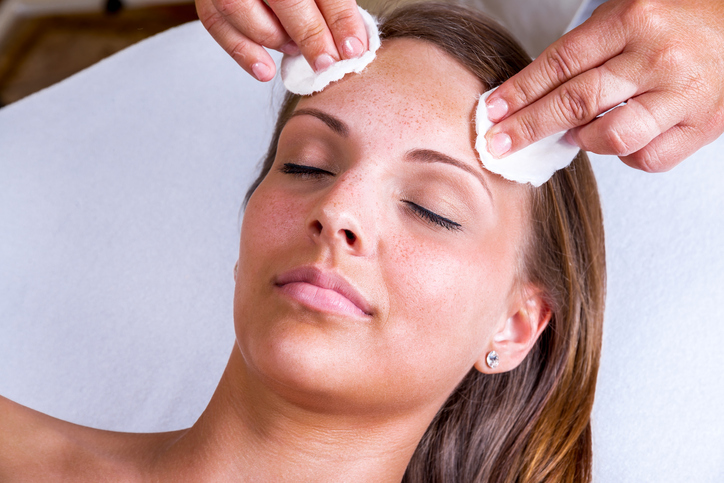 Chemical peels contain all-natural ingredients like glycolic acid which target the top few layers of your skin. Once the skin is targeted, it sloughs off and is replaced with newer, healthier, blackhead free skin. If you have blackheads, there are luckily several options that you can do to get rid of them. To learn more about blackhead removal or to schedule an appointment with our staff, contact Timothy Jones today!